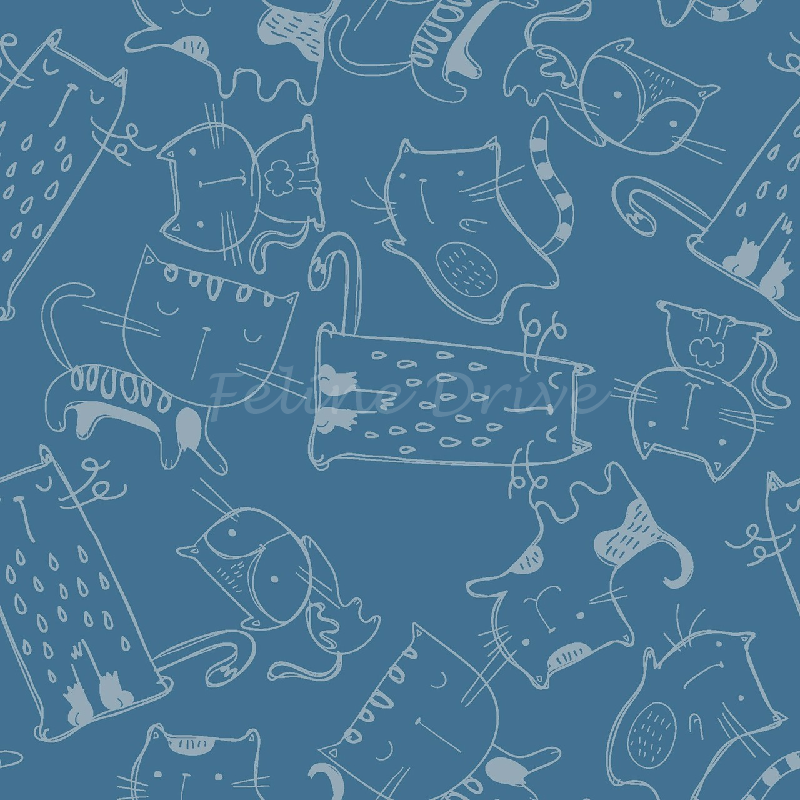 There's a lot of "catness" packed into the fabrics in the Cat's Meow collection by Fabric Editions. We love the wonky shapes of these cats that somehow seem to capture cat attitude just perfectly! 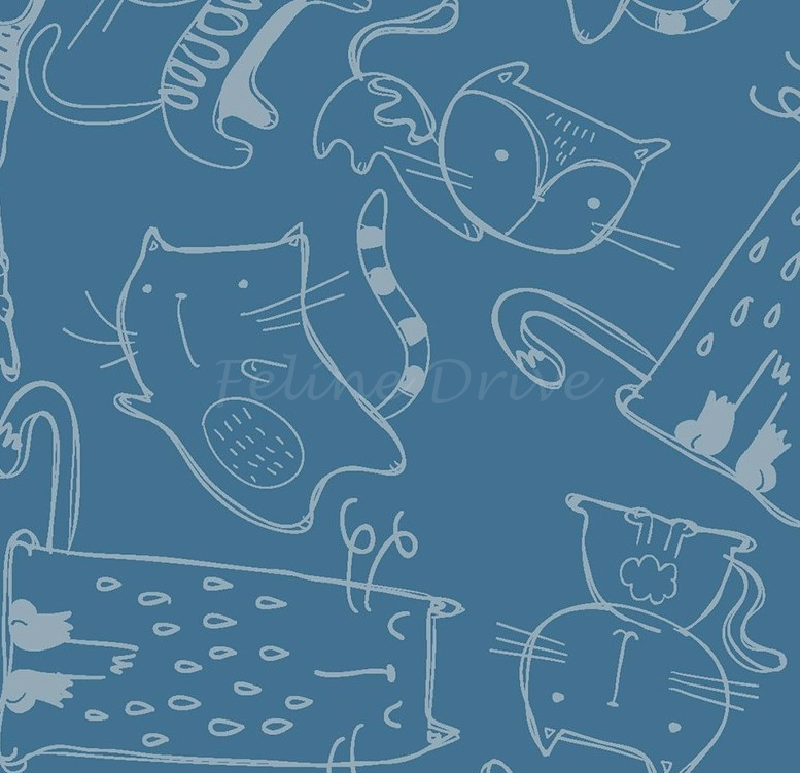 This fabric features kitties sketched in white on a blue background. A cat lover's delight! Print Size:Cats stand approximately 1.25" to 2.25" tall.